As a PADI 5 star IDC facility, Splash Dive Centre can offer you all inclusive training through to PADI Instructor. Come and join us for the highest standards of training in Belize and make a difference by giving back through our community and ecological projects. During the PADI IDC, you’ll learn to use and adapt the PADI System of diver education to individual student needs. PADI Open Water Scuba Instructors may conduct a broad range of PADI programs from Discover Scuba to Divemaster. The PADI Instructor Development Course (PADI IDC) is comprised of 2 components, These 2 components can be taken either separately or together in one course. The Assistant Instructor portion is the 1st component of the PADI Instructor Development Course and builds upon Divemaster training. The Assistant Instructor course is a minimum 3 day program (2 days with online option) that introduces trains you as an instructional assistant, in academic teaching and in confined & open water training. 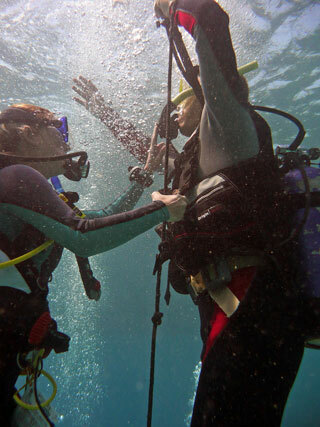 This program credits towards the PADI Instructor Development Course and allows you to gain experience as an instructional assistant before the IDC. 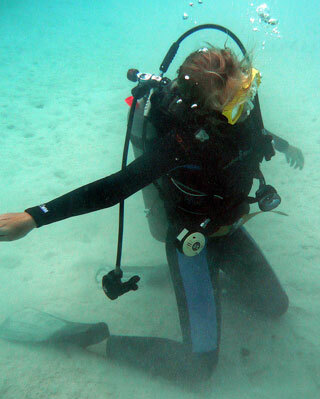 The Assistant Instructor course can be conducted as part of the PADI IDC or as a stand-alone program. The 2nd portion of the IDC is the OWSI (Open Water Scuba Instructor) program and takes a minimum of 4 days (3 days with online option). The OWSI develops candidate’s abilities to prepare academic, confined water and open water teaching presentations. As an Instructor candidate you’ll also learn about business principles, teaching children, risk management and other important topics relevant for the dive professional. Practical workshops during the IDC will develop your ability to retail dive equipment and counsel divers into continuing education programs. After you have completed the IDC you’ll attend a 2 day PADI Instructor Examination prior to receiving authorization from PADI to instruct. You’ll need a full set of scuba diving equipment, and the PADI Instructor manual and RDP’s and the PADI IDC crew pack in addition to having all manuals for reference. The next step after the PADI IDC and IE is to become a PADI Master Scuba Diver Trainer by qualifying in 5 PADI Specialty Instructor courses. At Splash Dive Centre we schedule several PADI IDC’s each year so please contact us for specific dates and costs.